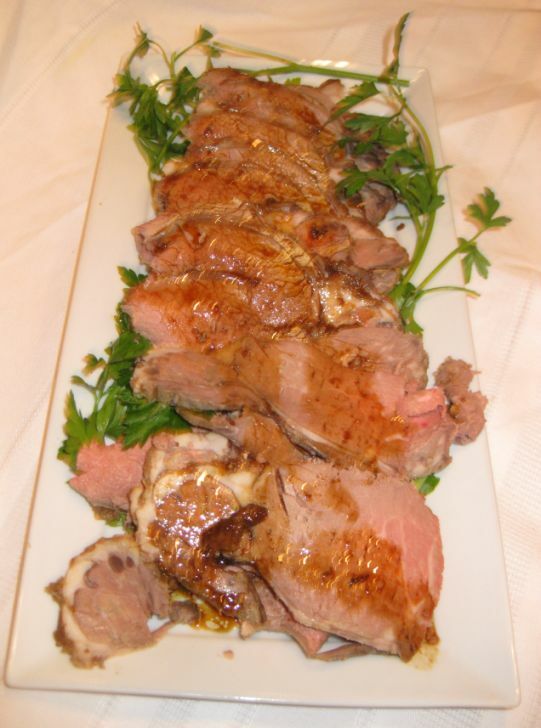 A delicious rib eye roast is the perfect cut of beef for any festive occasion. I had about 30 people coming for Thanksgiving dinner and beside the traditional roasted Turkey I am also serving a 10 pounds rib eye roast. 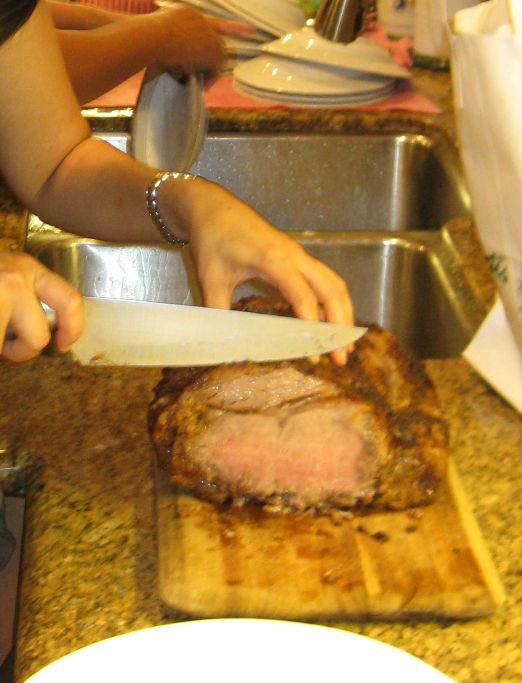 A rib eye roast makes a delicious main course, but getting it just right can be a little intimidating the first time you attempt one. 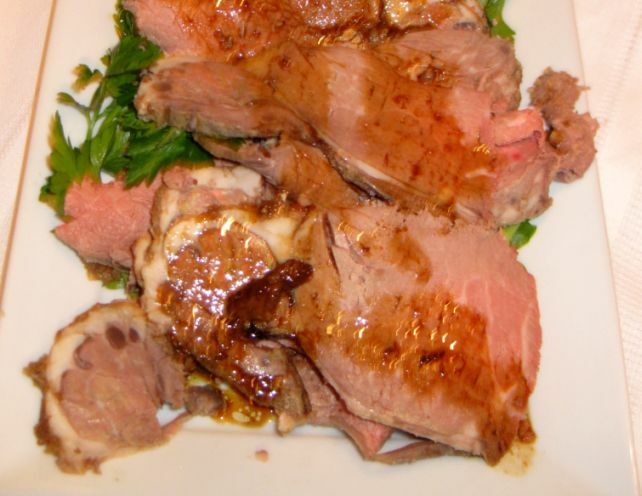 However, you can make a memorably delicious roast with a minimum of fuss. 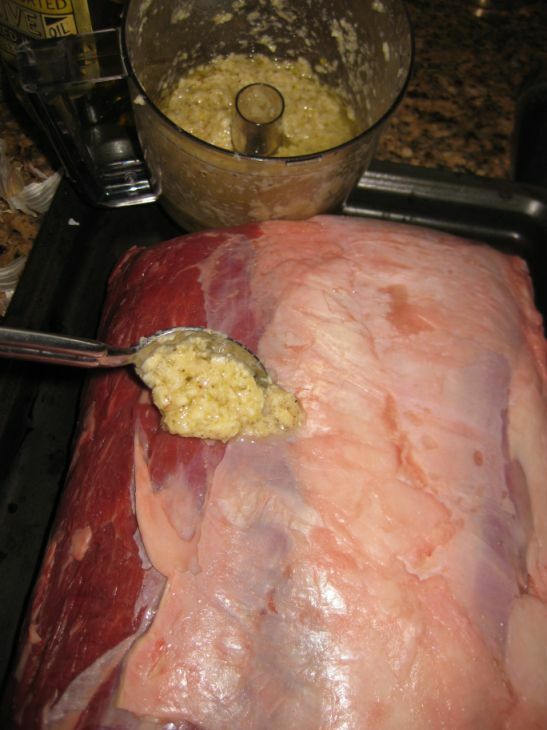 Remember to let the roast warm to room temperature for an hour or more and then rub the roast with the garlic/horseradish mixture and then put it in the oven for 2hours or more depending on the weigh of your roast. Invest in a thermometer and you are set! 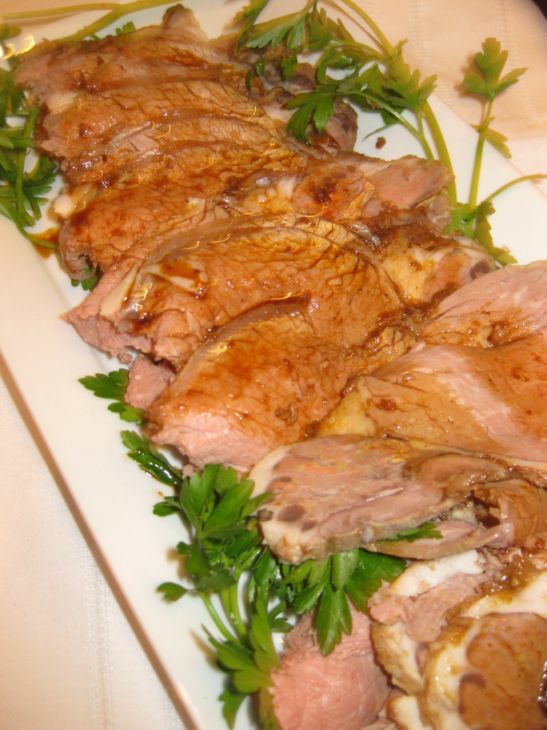 Some prefer the roast beef to be served "rare" or "pink", meaning that the center of the joint is cooked so that it retains a reddish color. 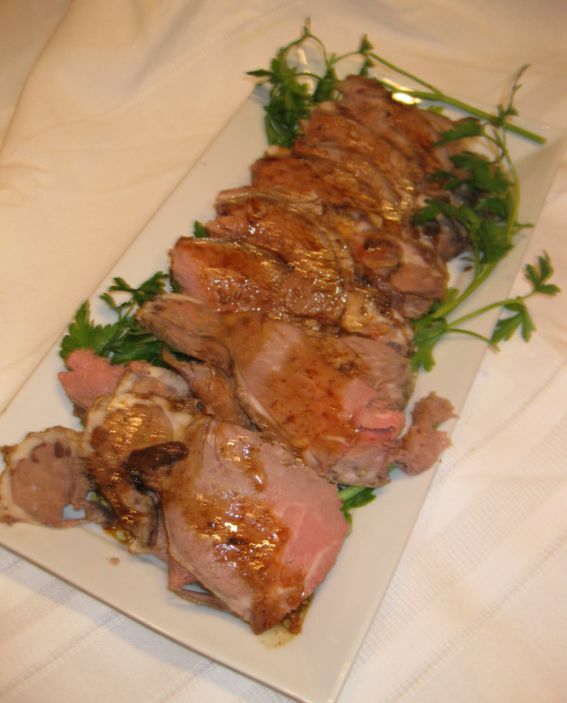 Others prefer roast beef to be cooked medium or well done. I definitely like mine to be on the rare side but I overcooked the beef a tad to my liking but never the less the beef was perfectly seasoned and the pan juices were delicious! 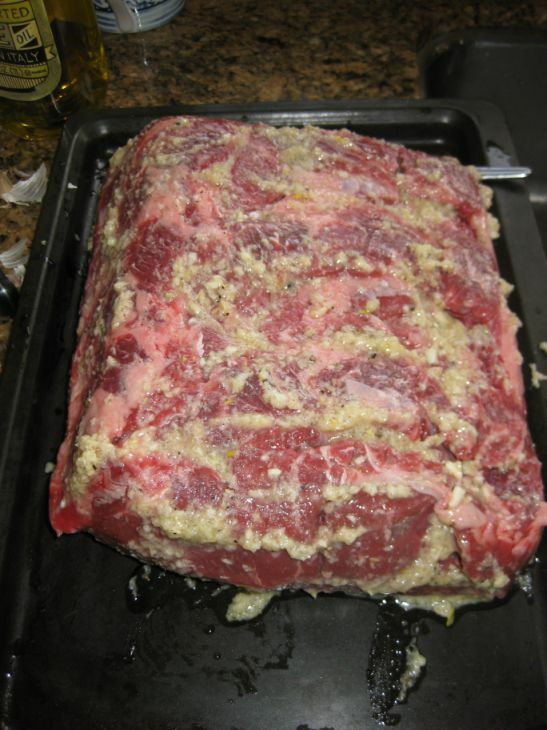 Close up look at rib eye roast. 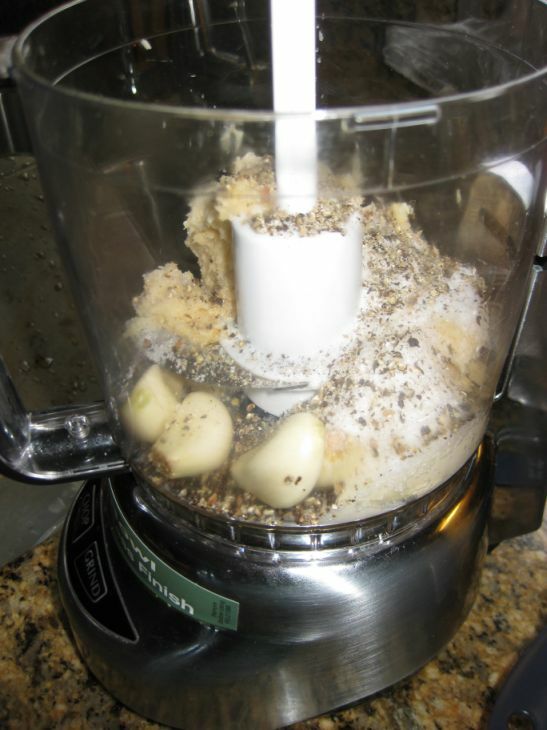 Put together the garlic, horseradish, salt and pepper in food processor. 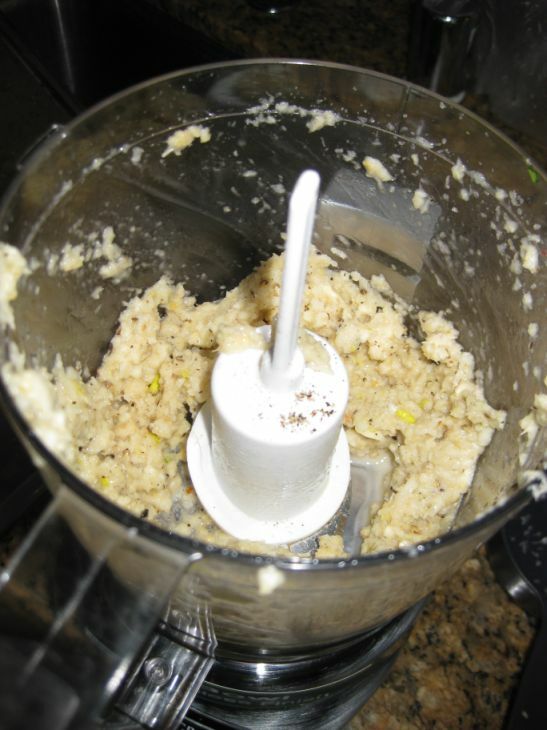 Turn the food processor until the garlic are chopped. 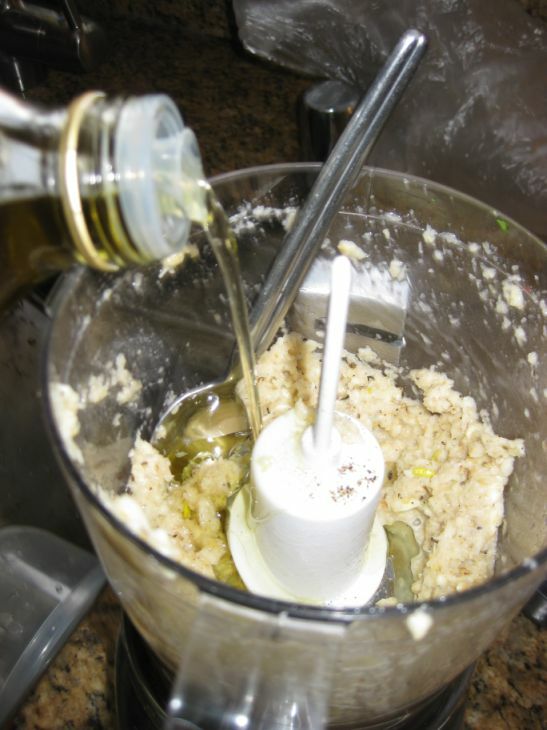 Massage the paste generously over the entire roast. Pre-heat the oven at 350 degrees and put it in the oven for about 2 hours. Remove the roast from the oven and let it rest for at least 15 minutes. Slice the roast into sliced and serve.